It’s not a set of courses – it’s a philosophy. 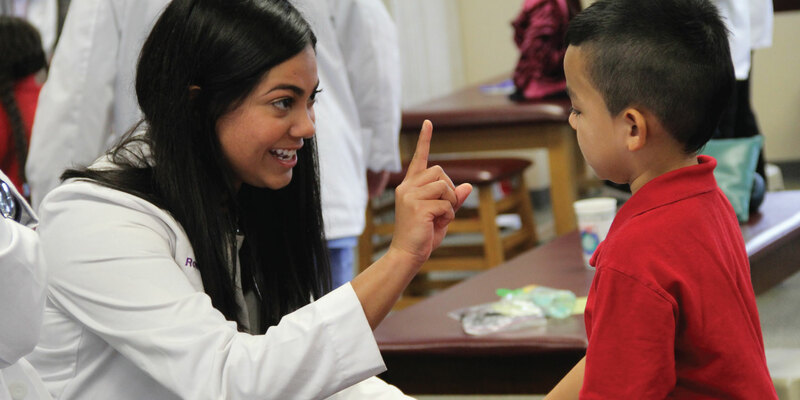 The curriculum at Kansas City University of Medicine and Biosciences’ College of Osteopathic Medicine consists of four years of structured training leading to the doctor of osteopathic medicine degree. The first two years are organized in a modified systems, clinical application based curriculum. Each system is repeated in years one and two. The first year focuses on normal structure and function and the second year focuses on disease, process and clinical presentation. We incorporate active learning in the classroom to enhance critical thinking skills to prepare you for continued learning throughout your career. We have early clinical exposure in the curriculum through participation in Score 1 for Health (KCU-Kansas City), standardized patient encounters and human patient simulation. In your third and fourth years, you’ll be matched with a preceptor, or hospital at one of our clerkship sites to put your first- and second-year knowledge to work with real patients. You’ll receive advanced clinical training through both inpatient as well as outpatient clerkships in a wide variety of medical settings.